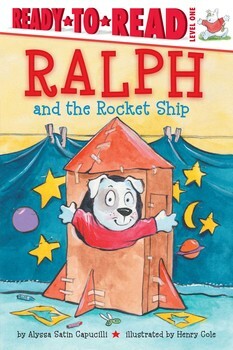 All Ralph wants is a rocket ship. So he asks his mom for one. “Too big,” she tells him. Ralph asks his dad. “Too tall,” he tells Ralph. What will Ralph do? With a little bit of imagination, a stack! stack!, a bang! bang!, and a tape, tape, tape, tape!, Ralph soon has his rocket ship. And it’s even big enough to fit his good pal Katy Duck, too!